First find a piece of cardboard to help you with the winding. I tore off a piece from a box we had lying around. If you want a smaller apple, use a piece of cardboard that is 2 inches thick. Or if you want it a little larger, go 3 inches. I also bend my piece of cardboard in half a bit, just so it’s easier to take the yarn off when it’s done being wrapped. 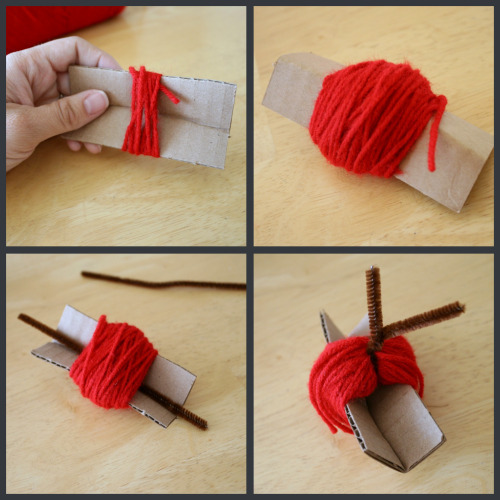 Take your yarn color of choice and start wrapping it around your cardboard. We did ours almost 100 times around, so keep on winding!! Although I did wrap one apple only 80 times, and it looked just as good. The more you wrap, the thicker and tighter the apple looks. When you’re done winding, then just cut your string off, letting it hang in place. It will get tucked away later. 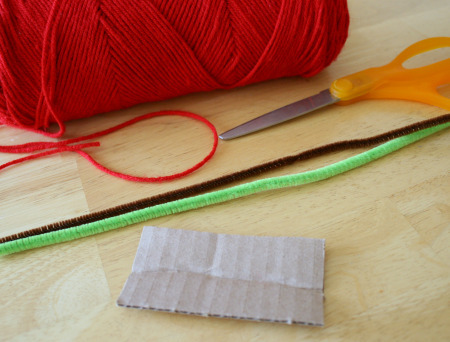 Cut your brown piece of pipe cleaner in half and slip one through your winded up yarn. This is where the bent in half card board piece comes in handy. If your cardboard is bent, it’s easier to slip the pipe cleaner through. 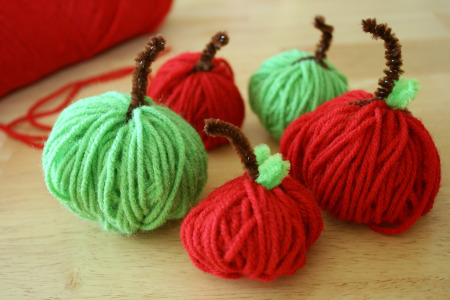 Then twist up the end together, forming a stem for the top of the apple. 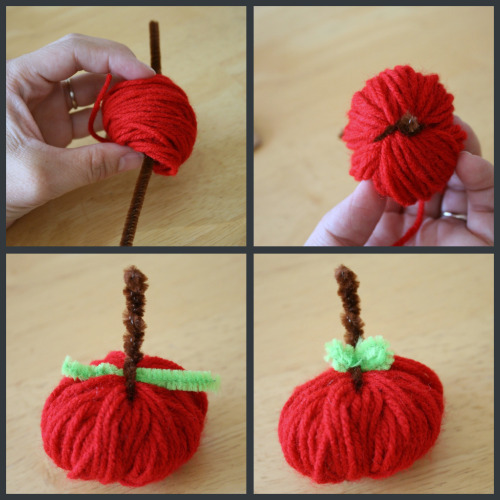 You now put the other cut half brown pipe cleaner through again and twist it up on the opposite end of the yarn, creating the round apple and looking like the little bottom end of an apple. 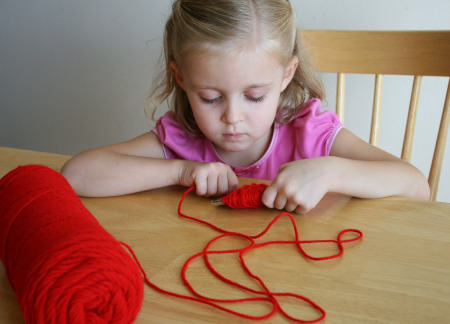 Twist it up a ways, then cut off the pipe cleaner with scissors fairly close to the yarn and bend that end of wire in. You can be done here or add a little leaf to the apple. 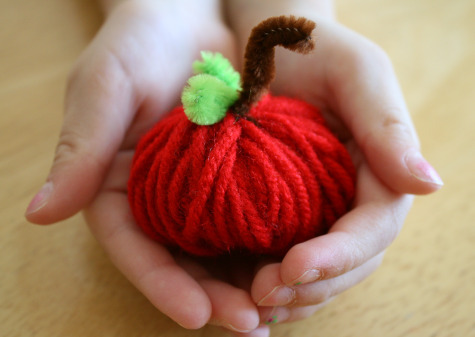 With a 2 inch piece of green pipe cleaner, slip it under the top brown stem. Then bend in each half to look like 2 little leaves.